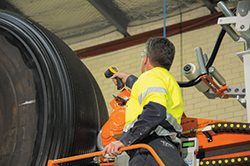 Tytec’s OTR tyre retreading service is proving to be a major cost saving, while extending your tyre life. All supported by years of in the field testing and data collection here in Australia. The following data was collected from our clients sites running various brands of tier one OTR tyres which have been retreaded by Tytec. You will see the considerable cost savings and a substantial increase in performance.